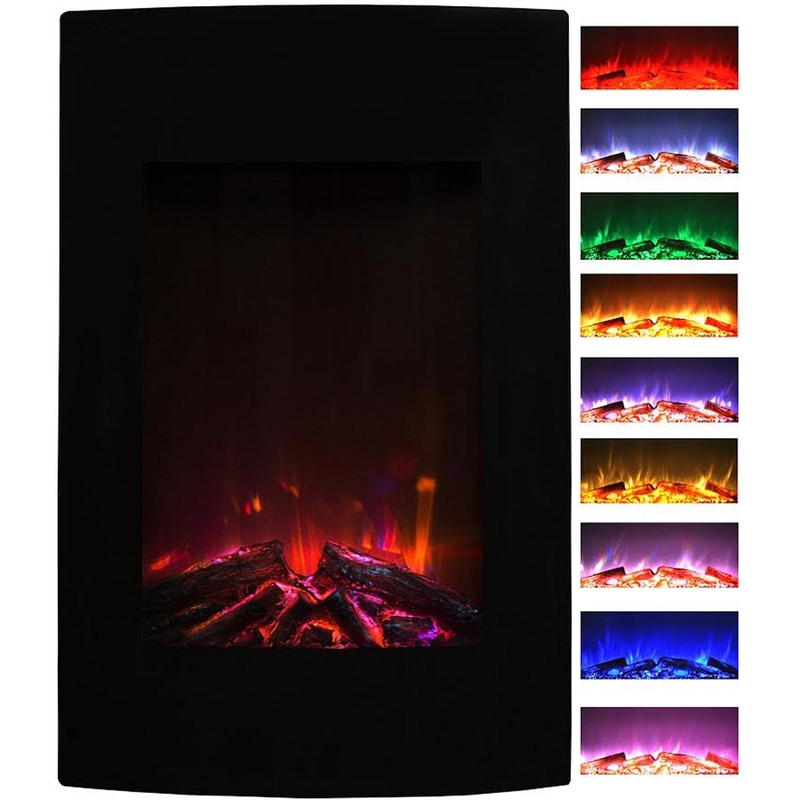 Stay toasty warm no matter what the outside temperature is with the multi-colored Oasis fireplace. The integrated fan-forced heater produces 5,200 BTU's of supplemental heat for warming areas up to 450 Sq. Ft. Set the desired color and temperature using a remote and let the unit do the rest. A multi-function remote control is included allowing you to operate the full functionality of the unit including brightness, temperature, flame, color, timer and on/off. Product Dimensions: 22.79" x 5.96" x 34.49" Inch ; 26.5 pounds. If mounting under a TV, fireplace needs a minimum of 24" clearance. Wish it came in a larger size! 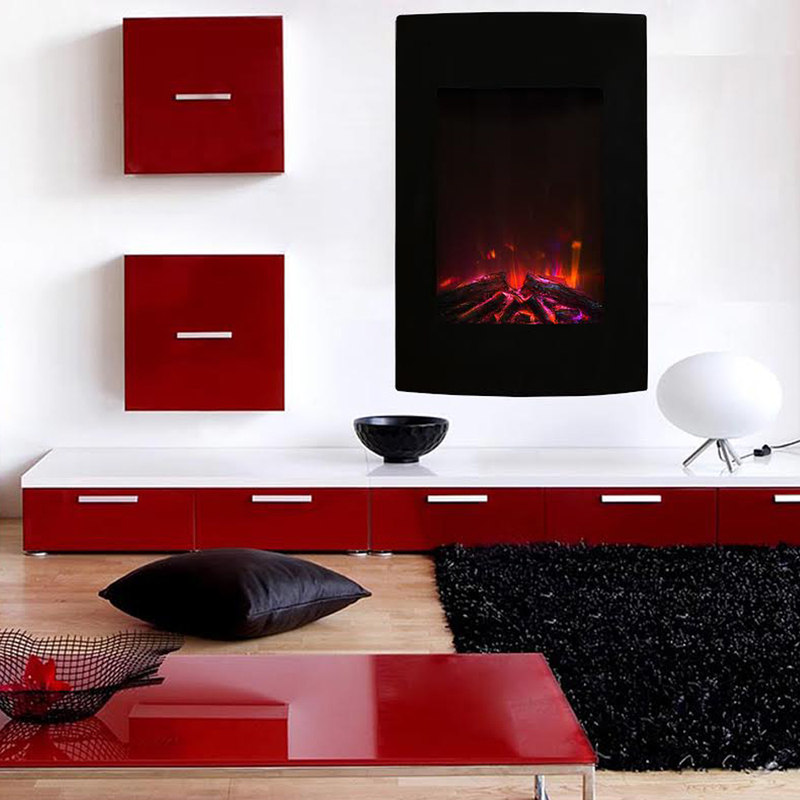 I love the fireplace, my only wish is that it was larger. All in all, it is a great addition! This fireplace totally transformed the feel of my apartment. It was easy to install and the warm glow really creates a cozy atmosphere. Gorgeous colors. Everyone who sees the fireplace is blown away. I will never have a gas fireplace again. This is so much better. Beautiful and very real looking flames!! Only problem...it does not turn out much heat at all. Kinda expected it to warm the area better. But otherwise, simply stunning and very romantic! !